These 20 photos will merely give you a taste of the trek through northern India. 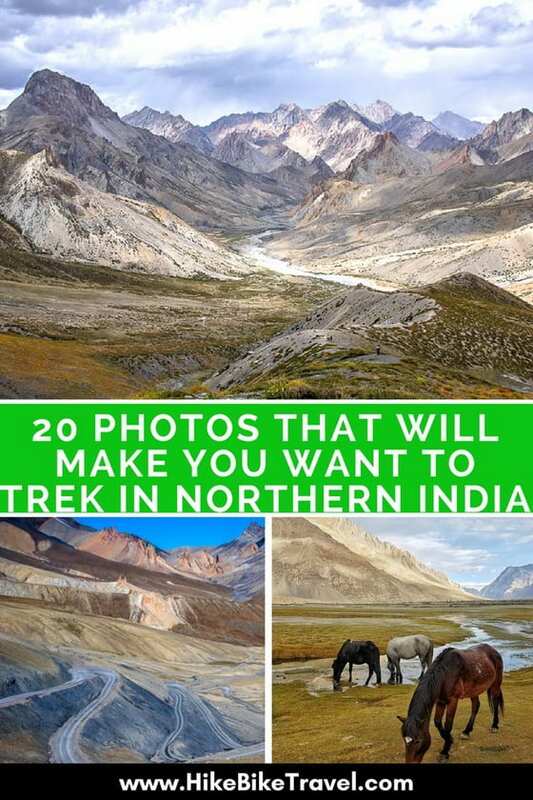 Now that you’ve seen some of the photos would you do a trekking trip in northern India? Visiting India has never been on my travel wish list – mostly on account of the noise, the huge population and the sheer amount of effort just to get there. But then I thought back to a film I saw about a dozen years ago from the Best of Banff Film Festival. 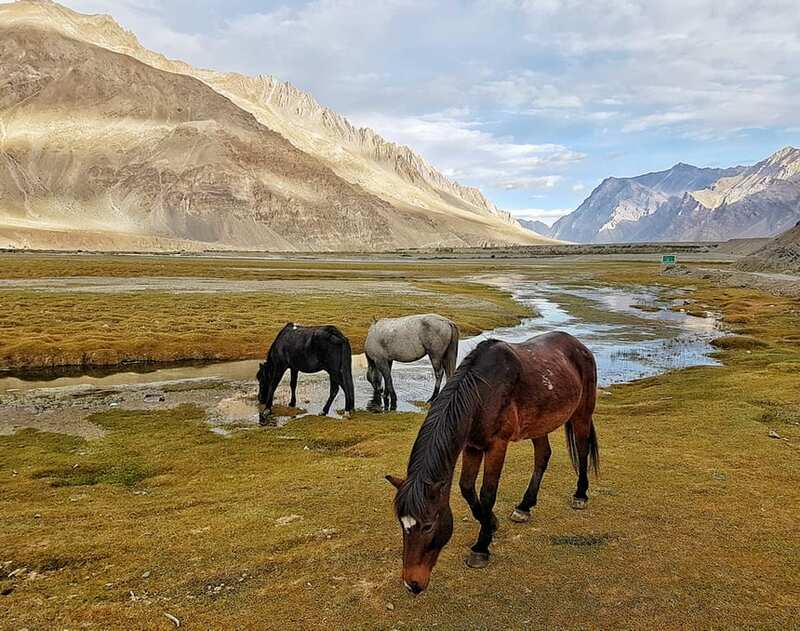 It showcased a teacher from the west living in a remote village in the Zanskar region of northern India basically cut off from civilization, especially in the winter when traveling on the frozen Zanskar River was the only way to get around. The mind-blowing mountain scenery stayed with me for all these years. Last winter I was in the planning stages of a longer than usual trip to celebrate a big birthday. The images from the film came to mind and so I began the search for a tour company that offered a trek in the Zanskar region. After a lot of research my husband and I ended up choosing World Expeditions, largely because they run the most comprehensive tour in the area. In the end we ended up on a trip that involved trekking for 18 days, at altitudes up to 5,100 metres (16,732 feet). The landscape that we trekked through from the turnoff on the main highway near the Lamayuru Monastery several hours west of Leh to the finale, a campsite at the end of Markha Valley was nothing short of spectacular, even otherworldly at times. It was always beautiful, often dusty and very tough going at times because of the altitude, some long days of hiking and plenty of tent time. You really need to go prepared mentally and physically. A huge thank you to all the congenial, hardworking staff on the ground – including the three horseman, the three cooks/assistant cooks/do anything that needs doing fellows and to our two guides. Wow, I’m very impressed by these pictures. Glad to see there are still wild and untouched places on our planet. @Steffi Over 18 days there was only one place you could phone out on a land line and there is no cell coverage. SAT phones are forbidden in India so you sure need to go prepared. I love the wild places! These photos are jaw-dropping. I look forward to reading more about this unique adventure that I hope is not still lingering on my bucket list when I kick the bucket! @Suzanne Northern India is a unique, beautiful, magical destination and these photos really just scratch the surface. The Markha Valley which we hiked for three days is an easier trek and more well traveled but it was the remote part of the trip that was really special. Wow! This area looks just amazing and your pictures are beautiful! @Cindy It is an amazing landscape – and thank you. Absolutely spectacular scenery! Amazing! What an adventure! Thank you so much for sharing this Leigh! I had no idea it was so beautiful there. Awesome pictures too! Just WOW! @Mario Glad you’ve checked out my blog. It’s certainly a part of the world that sees very few visitors.